Water based quick drying satin finish, touch dry in 30 minutes and re-coatable after 4 hours. Stains and varnishes in one, giving protection to all external wood. Contains UV inhibitors to prevent fading. 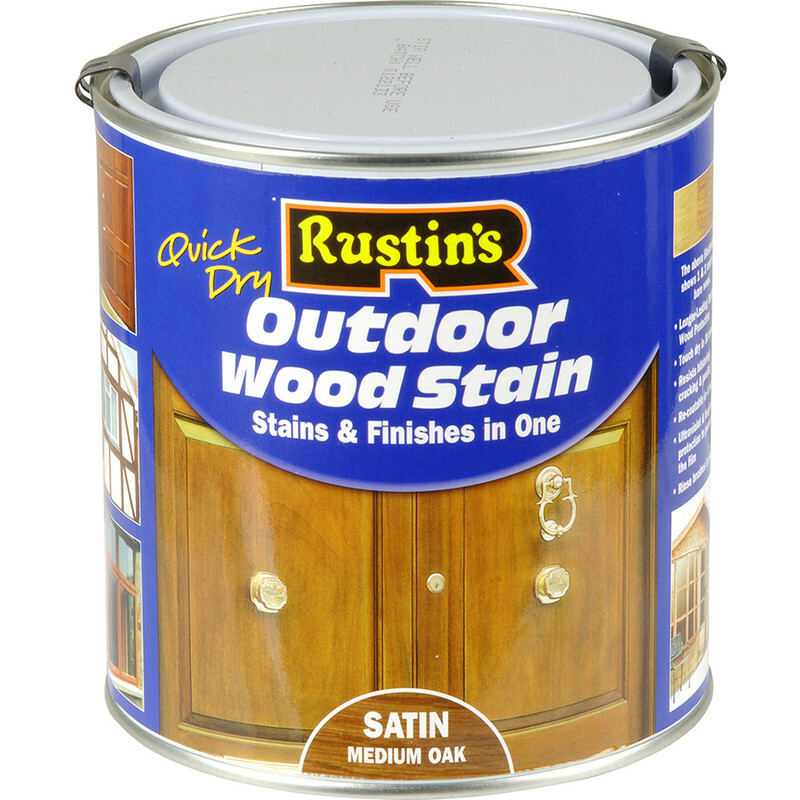 Rustins Quick Dry Outdoor Wood Stain Medium Oak 1L is rated 4.4 out of 5 by 46. Rated 5 out of 5 by Fancy Dancer from Nice Finish Looks good,easy to apply. Rated 5 out of 5 by Drummerman from Stain the grain without the pain! A great product that goes on easily, and drys within an hour to a clean tough finish. It has the advantage that the user can rinse the brushes out in water, no need for white spirit etc, also, there are no toxic smell to the product, and if needed a second coat goes on with ease. Highly recommended, buy with confidence. Rated 1 out of 5 by Rox1 from Had no idea it would be so small, its useless. The picture makes it look a lot bigger and it was expensive, I had no idea it would be so small. It wont do a full gate never mind a fence. Rated 5 out of 5 by sssssssssssssssssss from rustins outdoor wood stain does what it says, well,pleased i will rate it later for performance as only recently applied.